It’s time to celebrate! 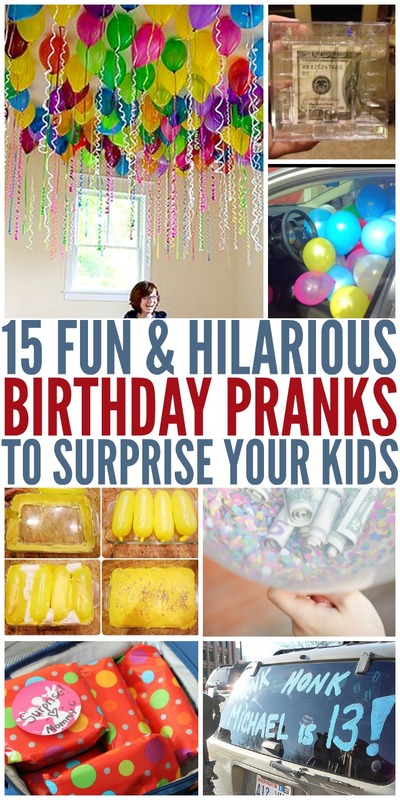 No birthday is complete without a few surprises, so we think these birthday pranks are terrific for making your kids (or friends) smile on their special day. 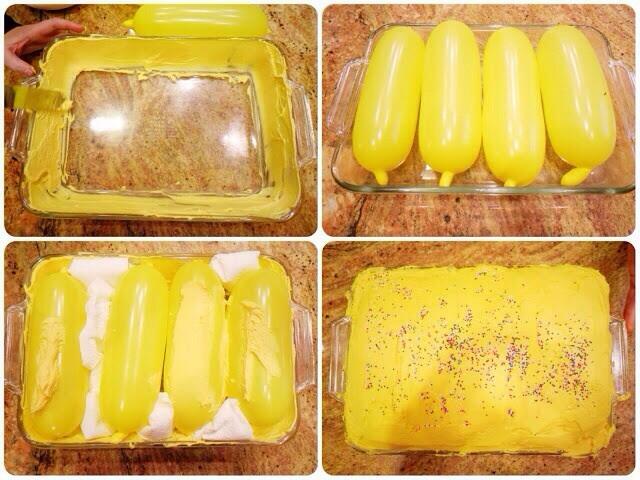 You’ll find fun ideas for little kids as well as teens and adults, to pick and plan your perfect prank today! 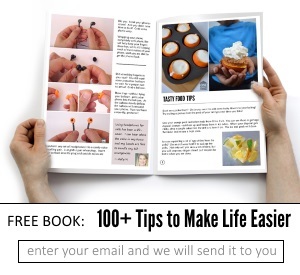 And don’t miss our birthday cakes and party food ideas for more help in planning your party. 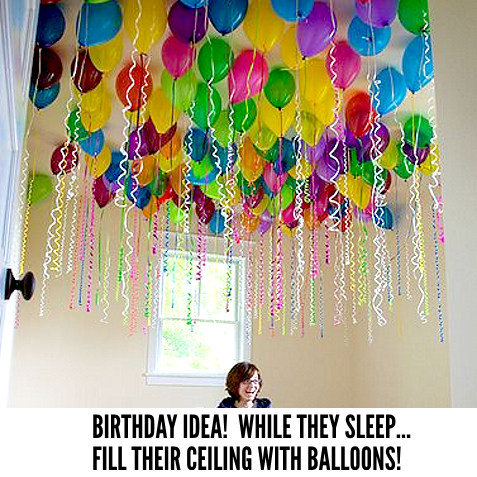 Get several dozen balloons and while your kids are asleep fill their room with the balloons! 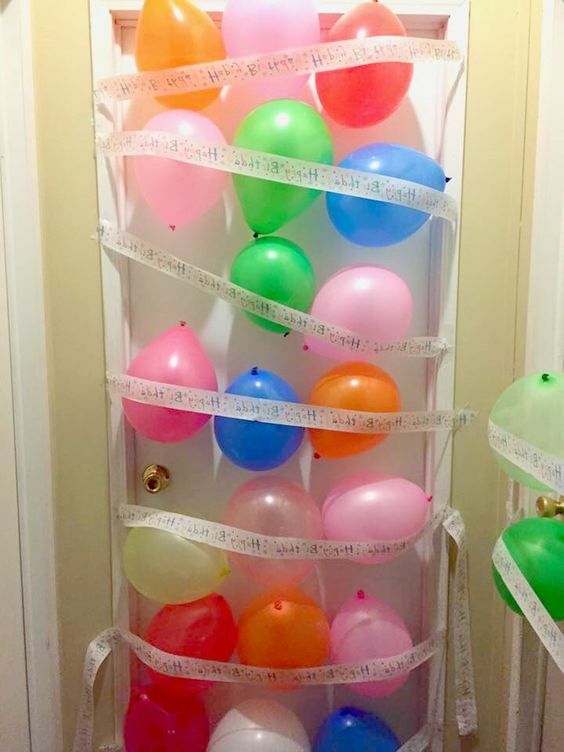 Or secure balloons to the bedroom door using streamers and tape. 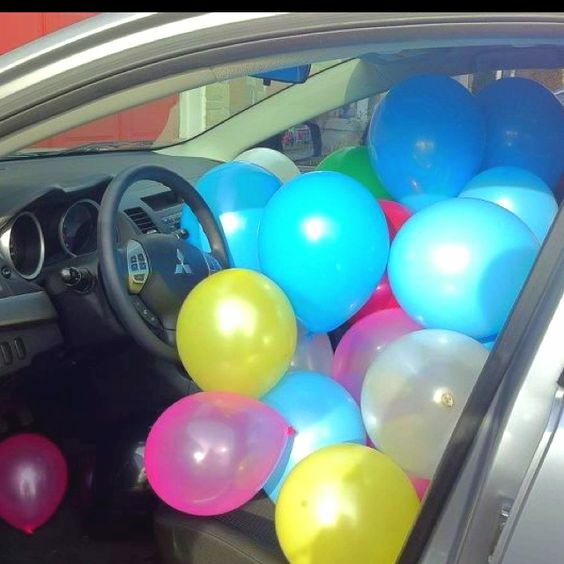 Or fill the car with balloons. This is a fun idea for kids (to find before the morning drive to school) or for your coworkers (to find after work). 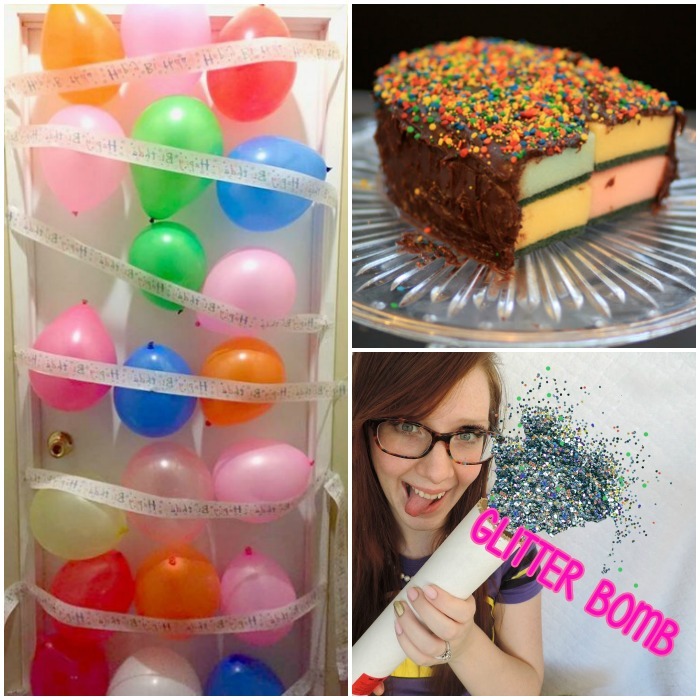 Make an exploding cake for the birthday boy or gal to cut into. Or frost a bunch of sponges to look like a cake. 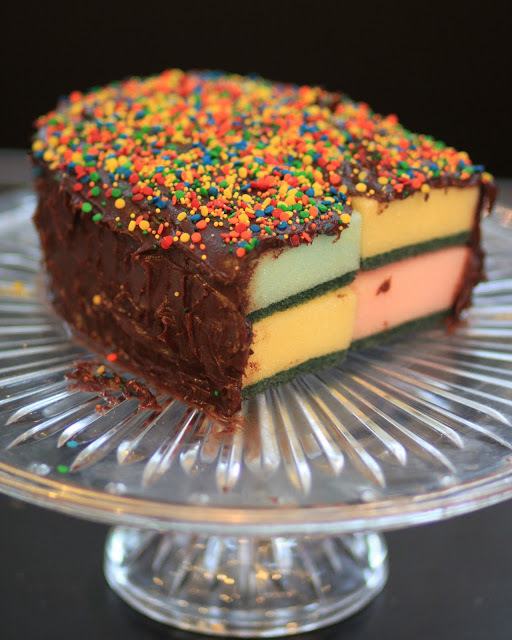 If you do either of these cake tricks, make sure you have an actual edible cake on hand somewhere, or else your guests will be mighty disappointed! 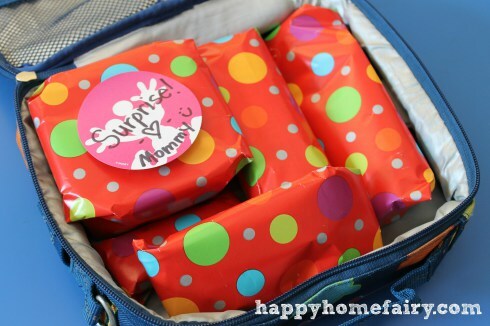 Individually wrap each item in your child’s lunch for the day. 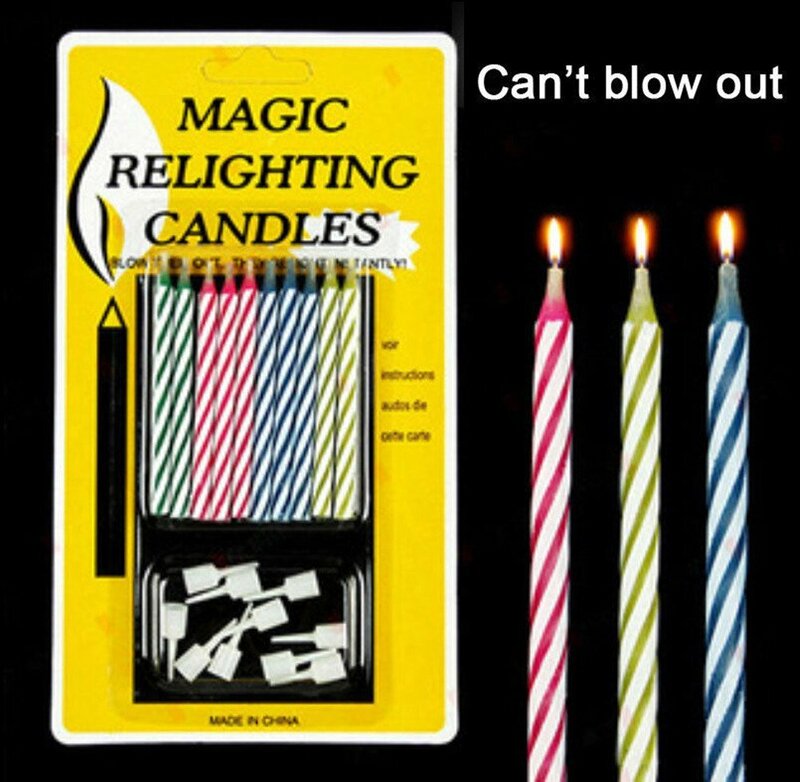 Who doesn’t love unwrapping surprises? Make sure they’re his or her favorite foods! 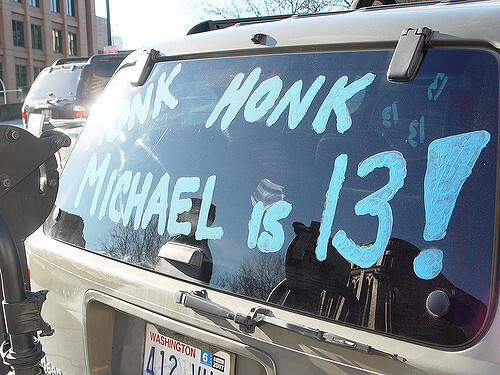 Honk for a happy birthday! This is a fun idea and even funnier if kiddo doesn’t notice before you hit the road. 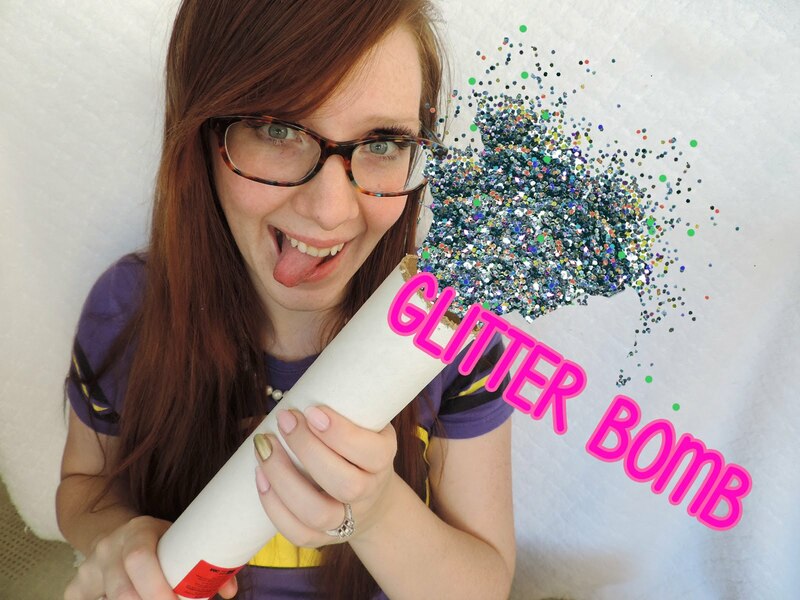 Make a glitter bomb for the guest of honor. If you’re going to be doing the cleanup after the party, though, we recommend opening it outside! 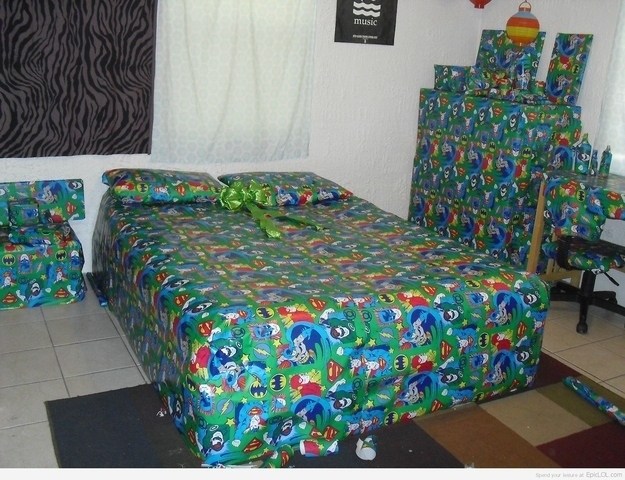 Wrap their bed (and desk and everything else) in gift wrap while kiddo is in school or out to play. 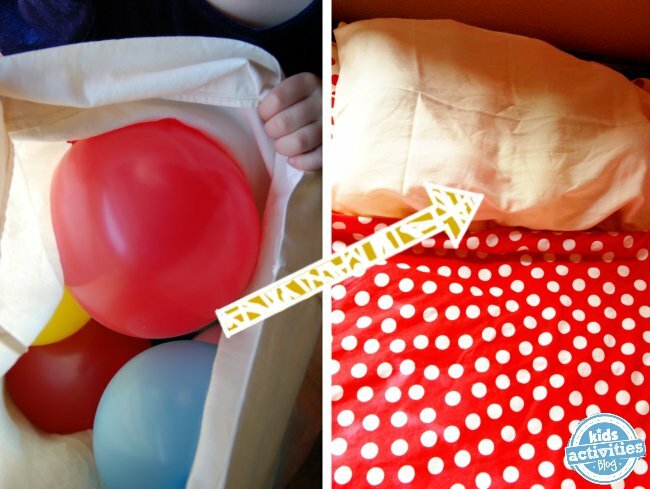 Or fill the pillowcases with balloons! 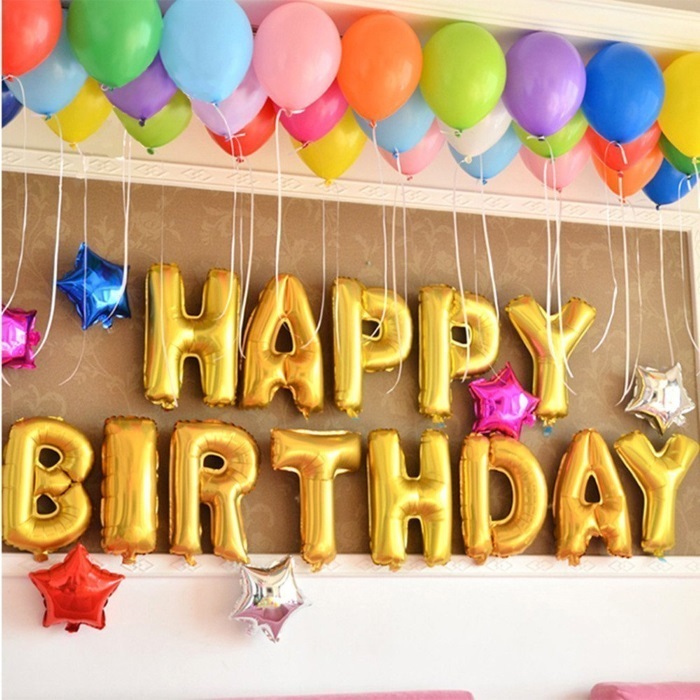 Write your kids a message – only in balloons!! Or better yet, give them the letters and have them unscramble them! Have a teen who drives? 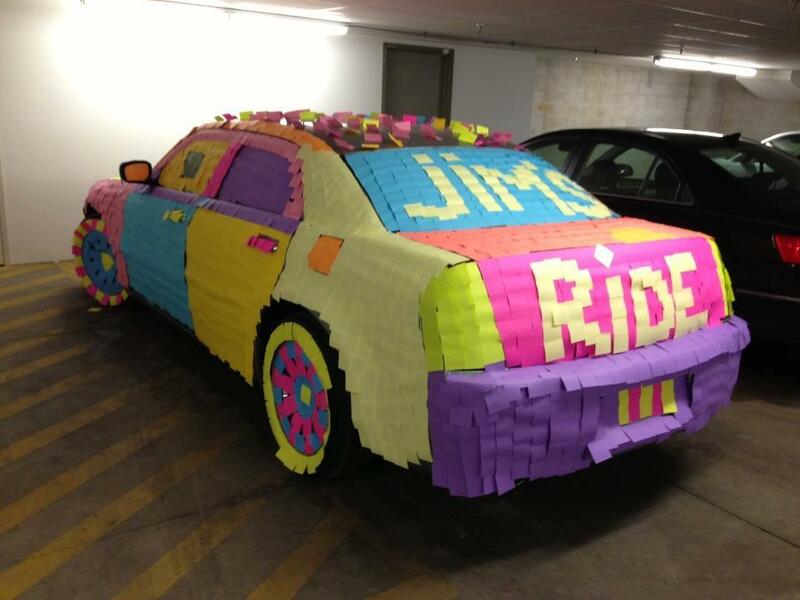 Decorate the car in post-it notes! Gifting cash to the birthday boy or girl? 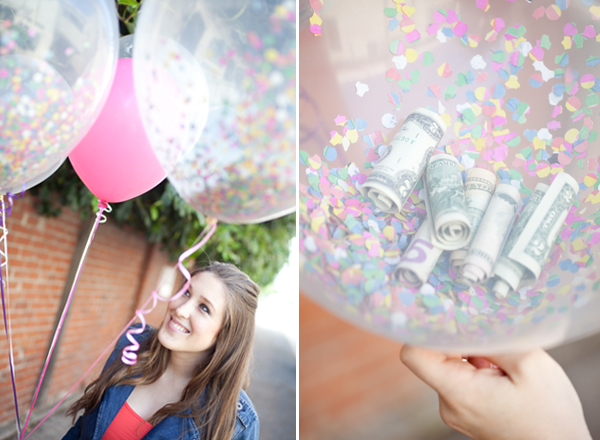 Put the money in balloons along with glitter or confetti. It makes a mess, but it’s worth it! 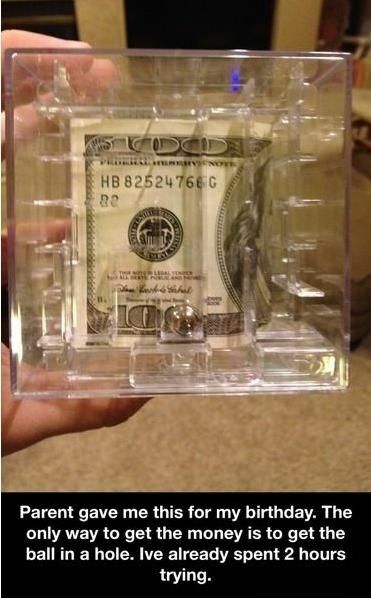 Make it difficult to get the cash by putting it in some sort of puzzle instead. 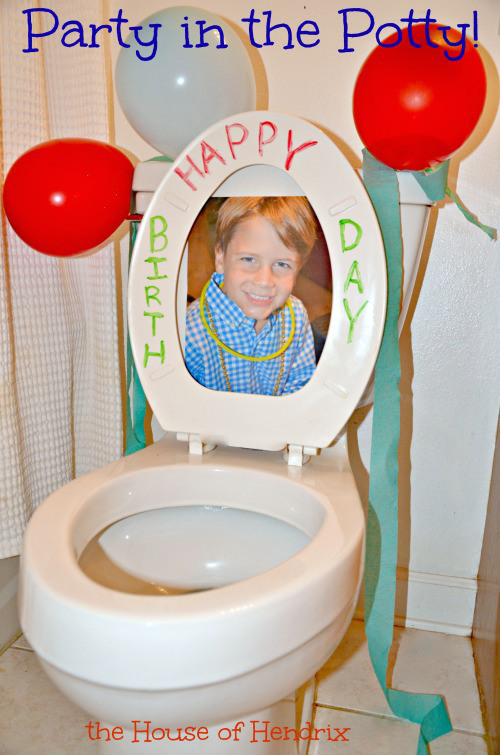 If the first place your kiddo heads is to the bathroom, start the festivities there. Who wouldn’t be surprised to find their picture on a toilet seat? This is THE source for pranks! 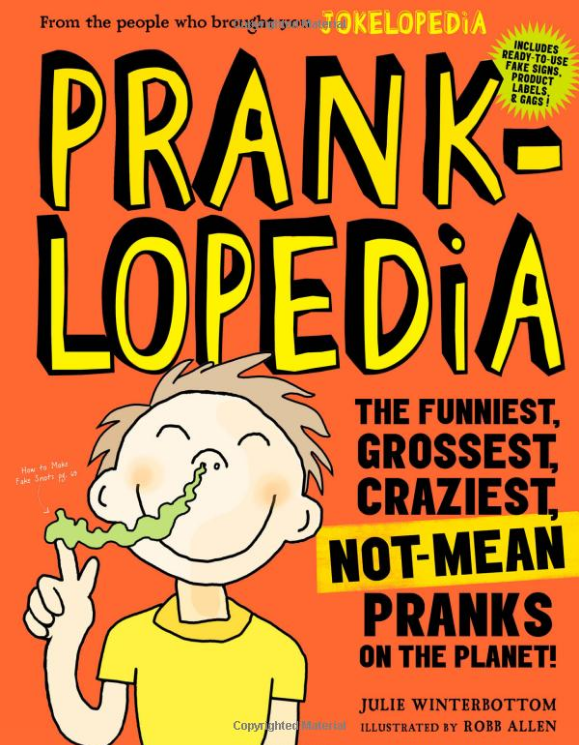 Actually, this silly prank book just might be the perfect gift for the goober in your life!